When space feels tight and you dream of more, rather than rip down your house and start from scratch, as tempting as that might be, adding a modern extension to an old home is a great way to create more space while maintaining the traditional curb appeal of your home. 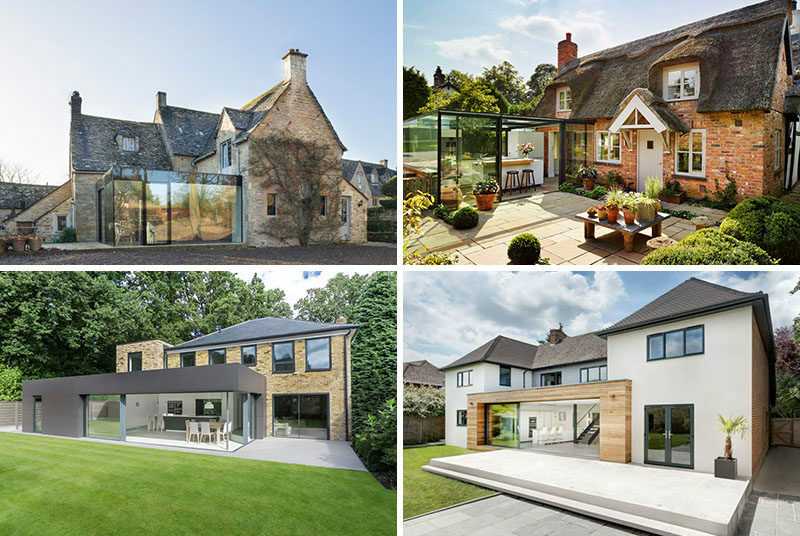 Today we’re sharing 14 British homes that added modern extensions to the existing structures, and have created striking juxtapositions of the old and the new with steel, glass, and wood contrasting the brick or stone exteriors. 1. 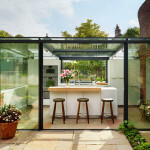 A dark clad extension houses a bright white kitchen that connects with the rest of the home and the garden just outside. See more photos of this home, here. Designed by AR Design Studio. Photography by Martin Gardner. 2. The modern white extension on this North London home contrasts the rest of the brick home rising up from behind it. See more photos of this home, here. Designed by Jones Associates Architects. Photography by Gareth Gardner. 3. 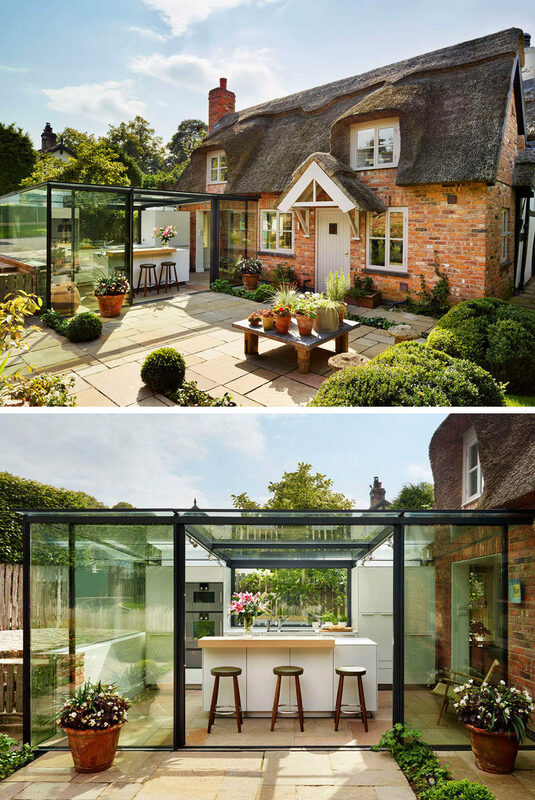 The thatched roof on this cottage may not be the most modern material, but the glass box extension is. See more photos of this home, here. Designed by Alex Saint of bulthaup by Kitchen Architecture. 4. 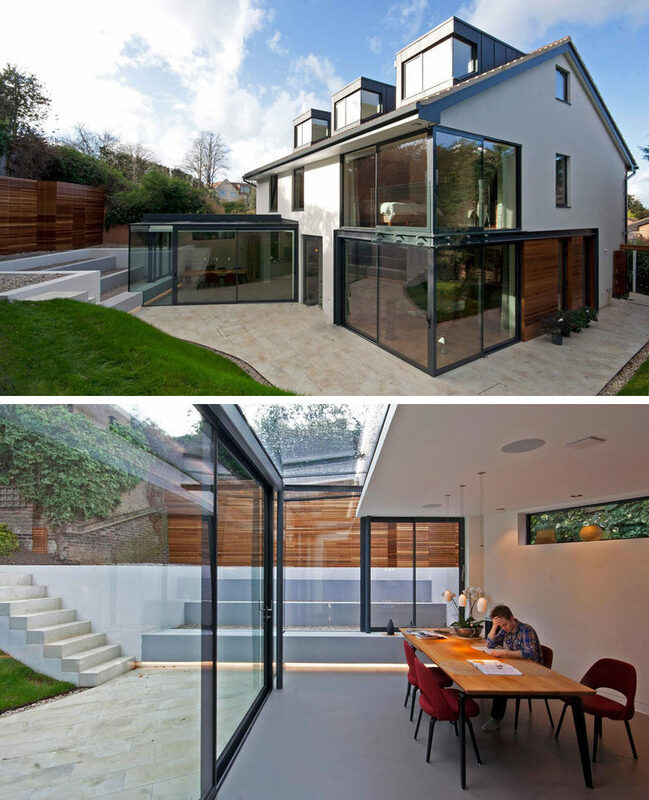 This large home got a bright extension that features a lot of windows to brighten up the interior and help make it feel more connected to what’s going on outside. See more photos of this home, here. Designed by OB Architecture. Photography by Martin Gardner. 5. 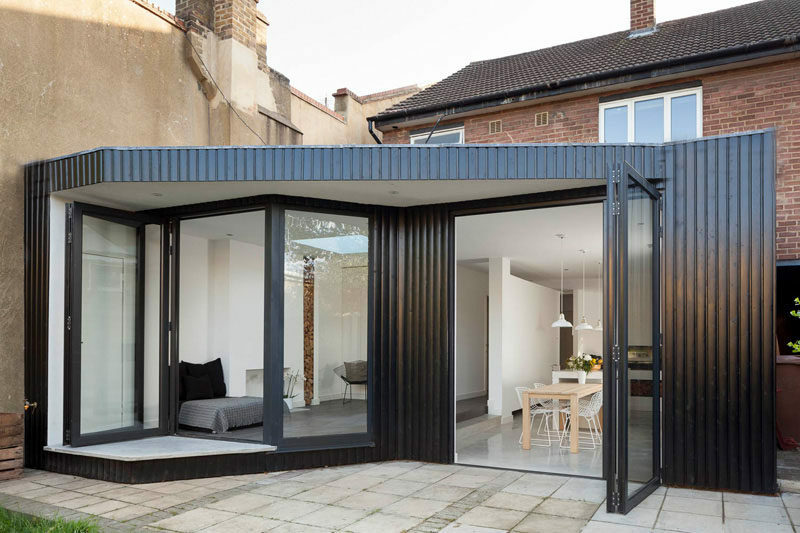 An angular extension on this British home adds a geometric touch to the home and makes more use of the long backyard. See more photos of this home, here. Designed by Paul McAneary Architects. 6. 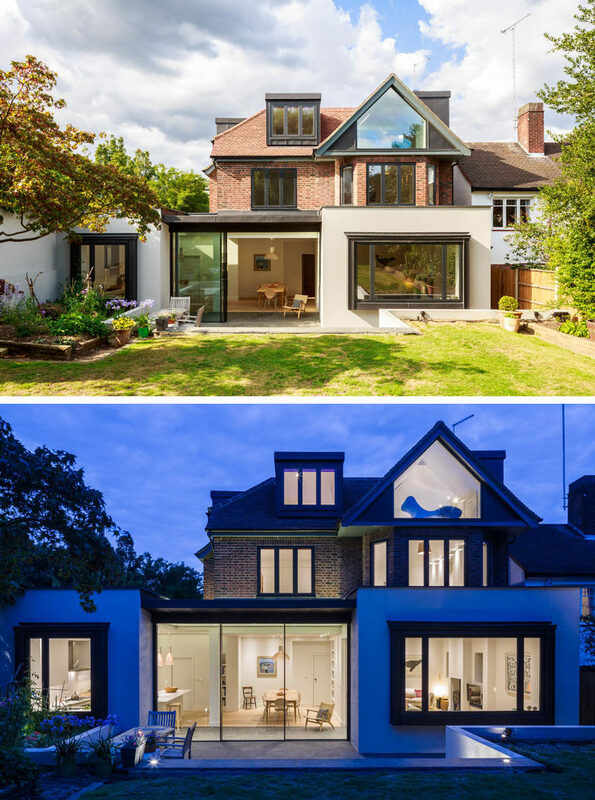 This British home went through a major upgrade that brightened and modernized the entire home, making it open and inviting. See more photos of this home, here. 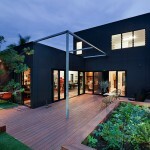 Designed by Duncan Foster Architects. 7. The extension on this British home created a bright dining area and allows plenty of natural light into the bottom level of the home. See more photos of this home, here. Designed by Andrew Mulroy Architects. Photography by Will Pryce. 8. 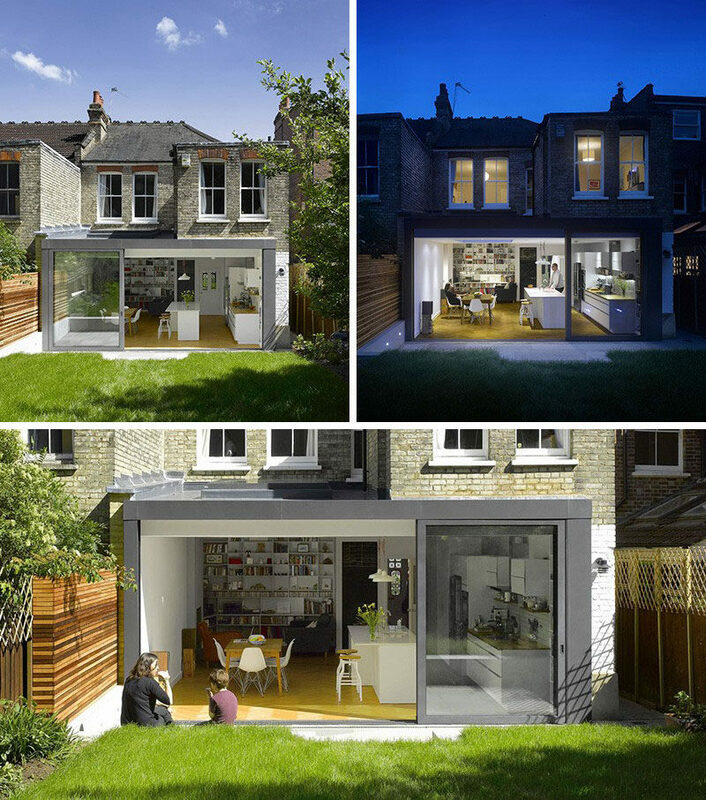 The modern extension on this London home created a modern kitchen and living space, and opens up right onto the grassy back yard. See more photos of this home, here. Designed by Mulroy Architects. Photography by Will Pryce. 9. This London home got a minimalist extension that increased the amount of functional living space and added a modern feel to the brick house. See more photos of this home, here. Designed by Scenario Architecture. Photography by Matt Clayton. 10. Light wood paneling and a sliding glass door that runs the length of the extension brightens up this British home, and connects the lower level to the large backyard. 11. 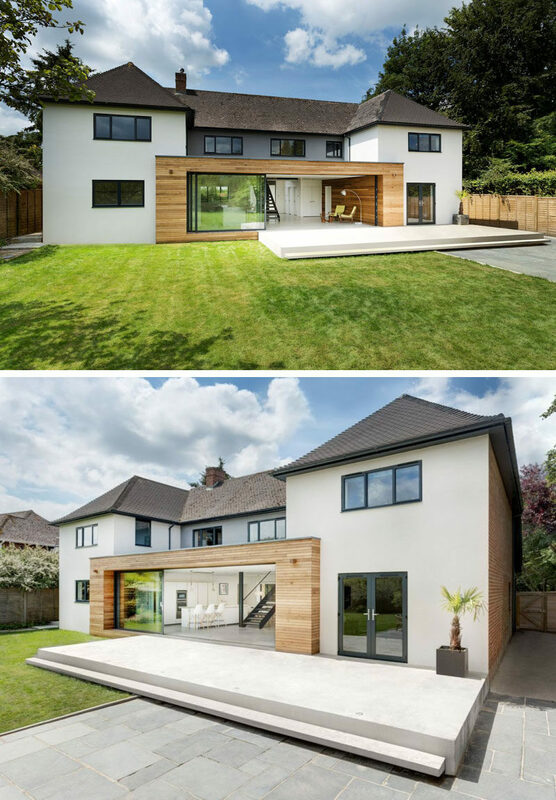 Large windows, light wood paneling on the top box, and dark exterior walls on the bottom box gave this British home a sleek modern update. 12. 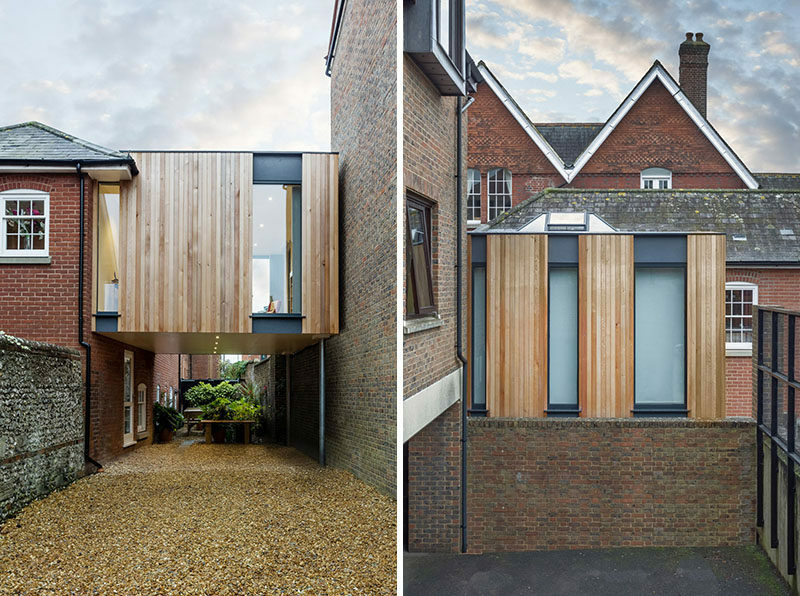 A floating wood clad box extension on this brick British home created more living space and a covered parking area on the side of house. 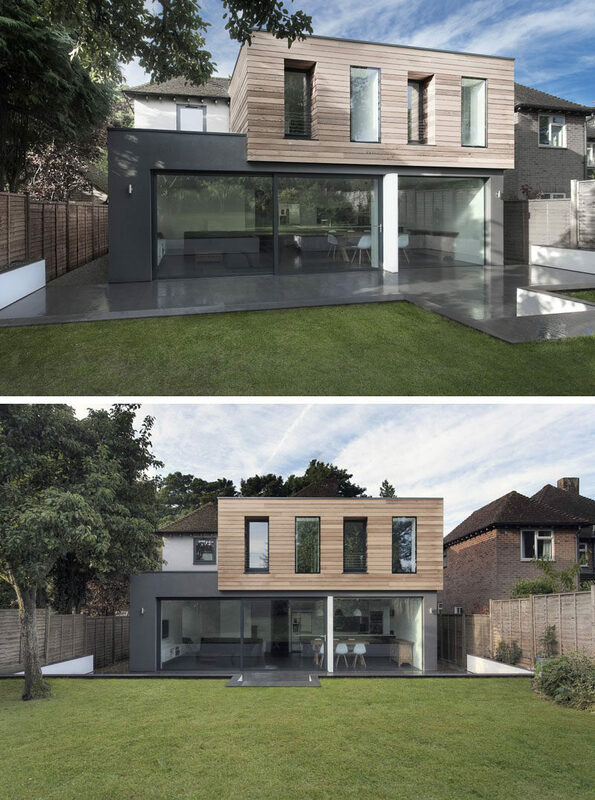 Designed by Adam Knibb Architects. Photography by Martin Gardner. 13. A traditional stone house got a contemporary extension built from glass windows and black steel that created a modern dining area still connected to the rest of the stone home. Designed by Jonathan Tuckey Design and Eastabrook Architects. Photography by Dirk Linder. 14. The modern light wood paneled extension built onto the back of this British home is concealed by an angled green roof that connects to the rest of the garden and curves around the top of the extension. See more photos of this home, here. Designed by Scott Architects. Structural engineering by Elliott Wood. Photography by Craig Sheppard.